The number of homeless students attending schools in the Los Angeles Unified School District grew by 50 percent last year, to 17,258 students — the highest number recorded by the city. Because of that, you might think that LA Unified would be among the school districts in the state with the highest proportion of homeless students, but it doesn’t even crack the top 10. Proportion is the keyword. While LA Unified has the largest number of homeless students of any school district in the state — and is the largest school district in the state — other school districts have a greater percentage of homeless students, as reported by EdSource in a special report on homeless students. At LA Unified, 3.4 percent of the district’s students were homeless last year, according to district officials. The district with the highest percentage of homeless students was Baker Valley Unified in San Bernardino County, with 52 percent of its students reporting being homeless in 2016, according to EdSource. But the number of homeless students in LA Unified has more than doubled since the 2014–15 school year, when it was 6,090 students. To explain why LA Unified has more homeless students, officials point to the increased number of homeless people in Los Angeles and nationally. They also point to a housing market crisis and the lack of affordable housing for low-income families. Another reason for the increase is that LA Unified has doubled its staff who work with homeless, from 14 to 29 people. “We’re able to better, more accurately identify students who are experiencing homelessness,” said Michelle Castelo Alferes, the district’s director of pupil services. The board district with the highest percentage of homeless students is Board District 6 in the East San Fernando Valley, followed by the South Bay District 7, and then Board District 2 in downtown and East LA. LA has the nation’s highest number of chronically homeless, defined as those who have been homeless for a year or more. 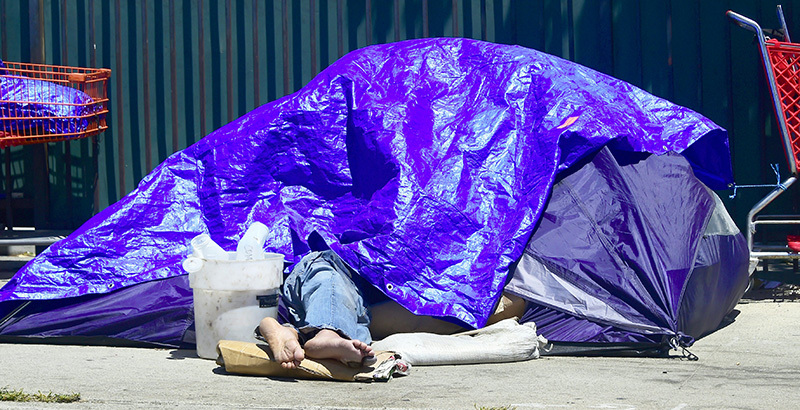 Homelessness in Los Angeles County grew by 23 percent last year, according to annual counts conducted by a county agency. In New York City, home of the nation’s largest school district, 1 in 10 public school students is homeless, The New York Times recently reported. But there could be more homeless students than LA Unified has identified. Some advocates say homeless data may be flawed because families are ashamed to admit to school officials that they are experiencing homelessness. “Homeless data is the most inaccurate data,” said Hattie Mitchell, founder of Crete Academy, a charter school that opened this year in South LA with a mission to serve homeless students. At the beginning of the year, district families are asked to complete the district’s Student Residency Questionnaire. Students are considered homeless if they answer that they live in a shelter, in a motel or hotel, in a car or RV, at a campsite, in transitional housing, or temporarily with another family. At Crete Academy, families are asked if they are homeless when they register for the school. Mitchell said initially only five families at her school said they were homeless at the start of the school year. Now, two months later, she knows of 16 families who are experiencing homelessness. “It’s only because we’ve really built trust that we’re able to find out this information, so if we would have just relied on paperwork alone we would have five kids who are homeless instead of 16,” she said. The school has 126 students enrolled. Mitchell said she discovered one family was homeless after she called the student’s mother for a meeting after the child was exhibiting behavioral issues. Mitchell helped place one family in a shelter who suddenly became homeless after they were evicted from their home. Private funders have given money to the school specifically for families who need hotel vouchers for a night. LA Unified provides homeless students basic necessities that might be difficult for families who do not have secure housing to provide, like backpacks, hygiene kits, and school supplies. Homeless students also usually have high rates of absence from school, usually because families do not have easy access to transportation or because families are moving around a lot. “(Families’) concern is basic needs and being able to find appropriate housing for their families, for their children. School may be secondary,” Castelo Alferes said. 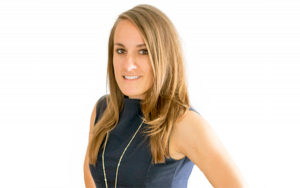 Sarah Favot is a writer/reporter for LA School Report and The 74 specializing in data-driven, investigative, and political reporting.